If you want to treat your Mum to the perfect Mother’s Day you must make a Newmarket booking pronto! Sunday March 15th is fast approaching and if your Mum is even half the incredible woman that my Mum is, I’m sure you are keen to spoil her rotten this Mother’s Day. Newmarket offers a huge range of restaurants and cafes to choose from and I have pulled together some of my favourite menus on offer this Mother’s Day. Whether you are choosing your Mother’s Day treat based on budget, location or reputation, the Newmarket restaurant list below should help! Nancy’s Breakfast tier £12.00 to share! The lovely Pantry is offering a Mothers Day Champagne Brunch and a Mothers Day Lunch Set lunch. Hazel and Steve are offering their popular Sunday lunch for £12.95 and their home-made starters and puddings at the usual price of £5.95. I’m currently mid way through my first show run in 7 years! 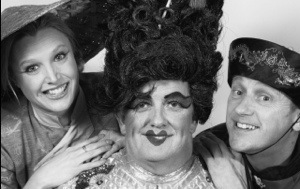 Is there a better way to get back into the swing of “AM DRAM” than playing the part of a princess in a Panto! 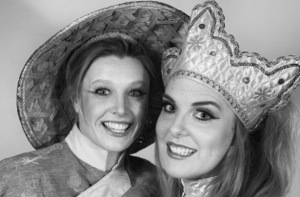 Aladdin is on at Kings Theatre, Newmarket until Saturday 17th January and is a must see.